DAVID LE/Staff photo. 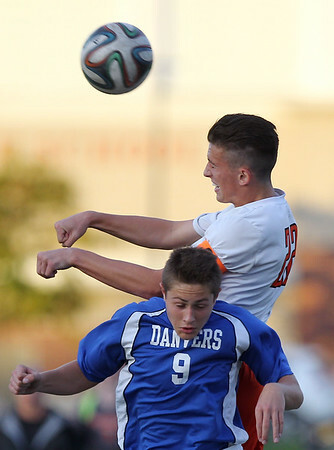 Beverly senior captain Sean Hanlon (22) leaps high over Danvers senior Ryan McGinnis (9) to win a header. 10/29/15.